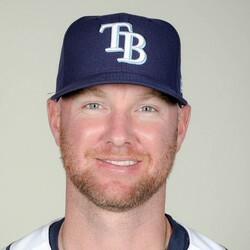 Tampa Bay Rays reliever Jonny Venters is being traded to the Atlanta Braves in exchange for international slot money, MLB insider Ken Rosenthal reports on Twitter. Venters returns to Atlanta, which is where he broke out as a dominant reliever back in 2010. Returning to the Braves and having success with them down the stretch would be a fitting completion to his comeback story, as the lefty reliever has undergone what he describes has three and a half Tommy John surgeries over the past few seasons. His value is highest in formats that reward for holds, for the time being.